JACKSONVILLE, Fla. - A man, accused of attempted robbery, was taken into custody after he led police on a high-speed chase from St. Johns County to Duval County, according to the St. Johns County Sheriff's Office. Early Thursday morning SJCSO deputies were notified of an armed robbery attempt at the Racetrack gas station in St. Augustine on SR 16. According to authorities, no one was hurt in the attempted robbery. 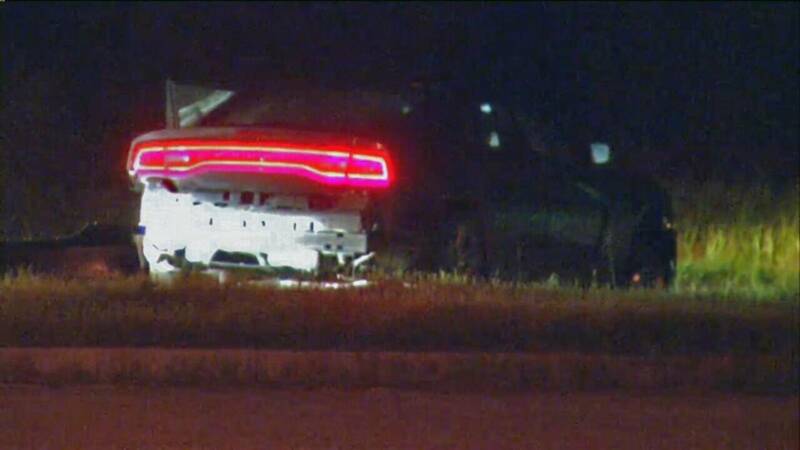 The suspect fled in a stolen car and went from I-95 northbound to I-295 northbound, where he began a high-speed chase with the Jacksonville Sheriff's Office in pursuit. SJCSO deputies said the car's tires shredded and the vehicle came to a stop on Baymeadows Road, just east of I-295. The suspect was taken into custody by JSO, according to deputies. While in custody, the SJCSO and a witness from the Racetrack gas station identified the suspect as the attempted robber and the suspect was arrested. We do not yet know the charges the suspect will be facing or his identity.